The foundation awarded the American Boat & Yacht Council (ABYC) with a donation to continue their educational opportunities within the boating industry. 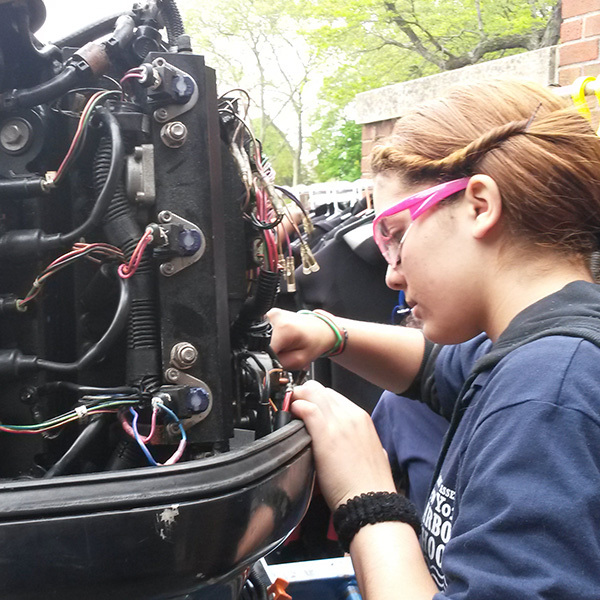 From Certified Technician programs that set the precedent for education in the marine industry to online learning that allows their students to complete courses at their own pace, and a Marine League of Schools that offer marine trade programs designated by ABYC’s education department, ABYC is the essential source of technical information to make boating safer. ABYC is a non-profit, member organization that develops voluntary global safety standards for the design, construction, maintenance, and repair of recreational boats. They also offer seminars, workshops and technician certification courses that are instrumental in increasing the level of knowledge and professionalism throughout the boating industry.